I convinced myself it was for the best. My focus needed to be on the club. Josue Navarro, a Mexican cartel boss, was looking for vengeance, and he had his sights set on Satan&apos;s Fury. It was only a matter of time before he came knocking at our door, but we weren&apos;t running scared. We were ready for war, and like my brothers, I was prepared to put my life on the line for the club. 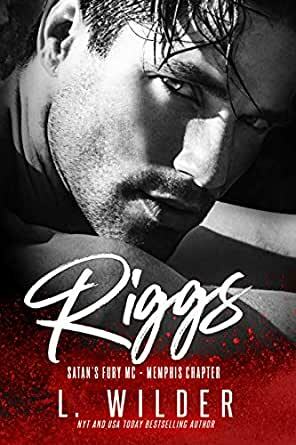 But I wasn&apos;t prepared for fate to bring Reece back into my life, and I certainly wasn&apos;t prepared for the secrets that she brought with her- secrets that would connect us in ways I couldn&apos;t begin to imagine. Riggs is book three of the Satan&apos;s Fury MC- Memphis Chapter. This full-length standalone novel is intended for mature audiences only due to the explicit language and violence. Contains no cheating and a heart-gripping HEA.